These melamine plates are so happy and sunny I thought they might brighten your rainy Friday afternoon. Plan to take them on your first summer picnic or get them for your kids. You’d better eat your dinner quick before Mr Lion gobbles it up. He looks like he’s eyeing up your neighbours food too. 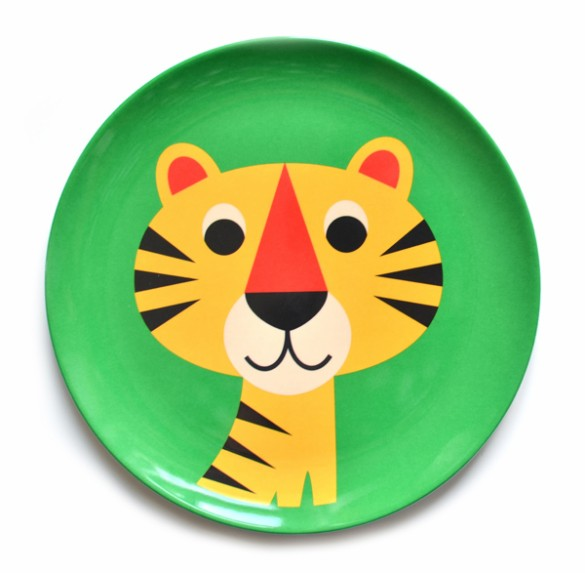 Reenact The Tiger Who Came To Tea with this Tiger plate. I love his bewildered expression. Their cousin the Cat has requested you have something fish-based please. 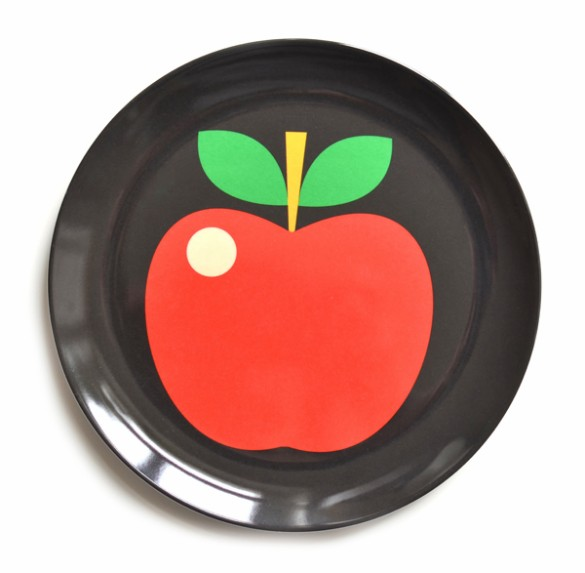 The designs aren’t all animals, there is a happy clown, a sun and this apple plate which unfortunately won’t count toward your 5 a day. 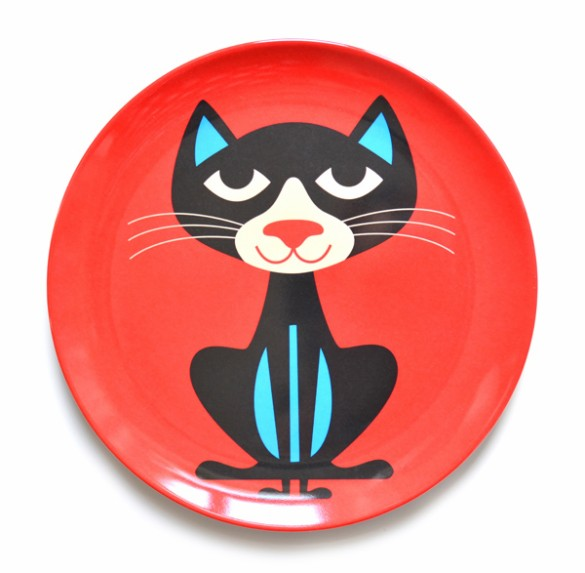 The plates are designed by Swedish illustrator Ingela P Arrhenius and are available from Lagom Design for £8 each.